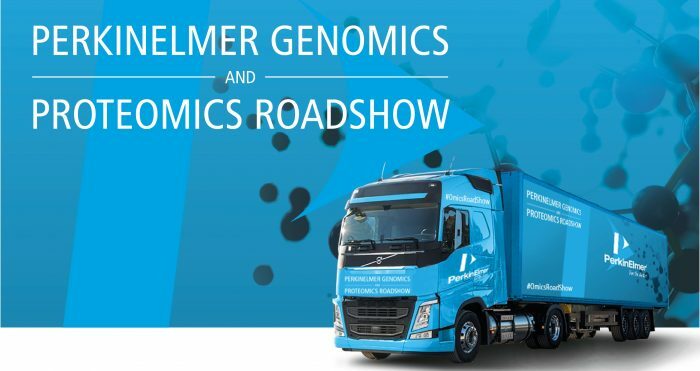 The PerkinElmer mobile lab will be at the Oxford Science Park on Thursday 12th and Friday 13th July 2018 as a part of the Genomics and Proteomics 2018 roadshow. In the PerkinElmer mobile lab you have the opportunity to learn about the latest genomics and proteomics automation innovations designed to improve the efficiency of your workflows and increase your productivity. Open access all day long + short talks (during morning coffee, lunchtime and afternoon tea). Follow them on social media #OmicsRoadShow.